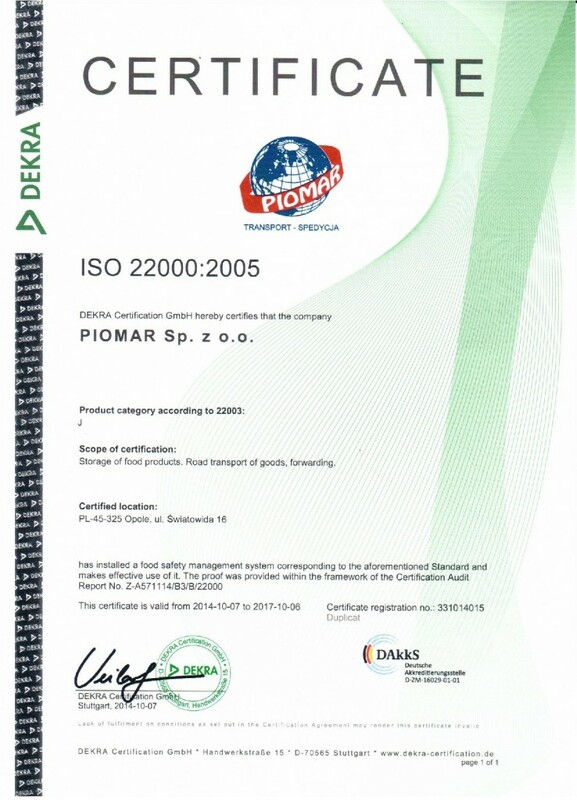 ISO 22000:2005 Certificate for PIOMAR! PIOMAR Sp. z o.o. was awarded with ISO 22000:2005 Certificate by DEKRA Certification GmbH. This is another distinction next to the certificate of ISO 9001: 2008 and TCC confirming the high quality of our services.